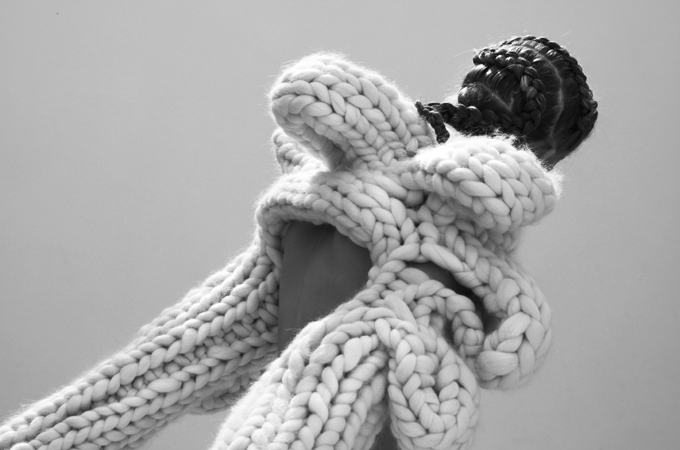 I'm still not sure what it is about a knitted piece that speaks so strongly to me, the texture, the way the stitches look - intertwined & all connected, regardless of the reason I tend to get overly excited when I see amazing knitted goods. The plumper the better in my opinion. When I saw these pieces by Nanna van Blaaderen, I'm pretty sure I drooled...absolutely breathtaking!